Jonathan K. Levine is a co-founding partner of Pritzker Levine LLP. Mr. Levine has more than 28 years of experience prosecuting complex securities fraud, business, antitrust and consumer class action litigation in state and federal courts. He has successfully represented high net worth investors, state public pension funds, multi-national corporations, small businesses, whistleblowers and consumers in individual, derivative and class action litigation. Mr. Levine has served in a leadership role in numerous cases brought under federal and state securities, antitrust and consumer statutes. He also has successfully represented whistleblowers before the U.S. Securities and Exchange Commission, the U.S. Commodity Futures Trading Commission and the U.S. Department of Justice. 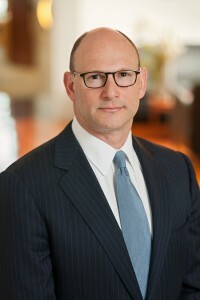 He served as lead or co-lead counsel in In re SLM Corp. Securities Litigation ($35 million settlement), In re American Express Financial Advisors Securities Litigation ($100 million settlement) and In re Winstar Communications Securities Litigation (confidential settlement on behalf of Allianz of America, Inc., Fireman’s Fund and other large private institutional investors). In the consumer protection field, Mr. Levine currently serves as co-lead counsel in In re Lenovo Adware Litigation, where he represents more than 800,000 consumers in a nationwide multidistrict class action against Lenovo and Superfish for damages arising from the surreptitious installation of computer spyware on certain Lenovo computer models sold in the United States, and in Corcoran v. CVS Pharmacy, Inc., a class action alleging that CVS wrongfully overcharges consumers who are insured and have third-party prescription drug coverage for commonly prescribed generic prescription drugs. He served as co-lead counsel in In re Providian Credit Card Cases, which resulted in a $105 million settlement, plus injunctive relief, one of the largest class action recoveries in the United States arising out of consumer credit card litigation. He also served as lead or co-lead counsel in three class action cases challenging actions taken by timeshare developers to the detriment of the timeshare owners (Wixon v. Wyndham Resort Development Corporation, Berrien v. New Raintree Resorts and Benedict v. Diamond Resorts Corporation). Mr. Levine has an active business litigation practice. He recently represented a Silicon Valley tech start-up in a breach of contract action against a software development company that was successfully tried to a jury. He currently represents several international software companies in a breach of contract and breach of fiduciary duty action pending in federal court in Boston that resulted in a multi-million dollar jury verdict for his clients and the dismissal of all counterclaims asserted against his clients. Mr. Levine also currently represents a local tech entrepreneur in an ongoing breach of contract, breach of fiduciary duty and derivative action arising from his ownership interests in several related limited liability companies and partnerships. That action, while ongoing, has already resulted in the recovery of more than $29 million of misappropriated investor funds. Mr. Levine also currently represents a group of more than 130 accredited investors in a securities fraud action brought by the SEC against the managers of several investment funds. In that case, he successfully argued for the adoption of a receivership distribution plan different than the plan proposed by the SEC. Mr. Levine’s business practice includes business litigation defense. He recently represented a local business owner who was sued for breach of contract and fraud in connection with the sale of a business. Following several months of litigation, Mr. Levine was able to obtain a dismissal with prejudice for the client. He represented another business owner who was sued for breach of contract and obtained a favorable settlement at a fraction of the amount demanded after several months of litigation. He also successfully represented in litigation a minority shareholder of a privately-held company, negotiating a fair value for the purchase of the minority interest and a severance agreement for the client. 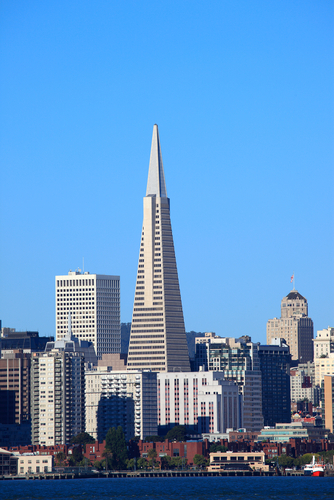 Before partnering with Elizabeth Pritzker to create Pritzker Levine LLP, Mr. Levine was a partner for more than a decade at Girard Gibbs LLP in San Francisco. He was a partner for nine years at Kaplan Fox & Kilsheimer LLP, a New York law firm. Mr. Levine has been repeatedly recognized by his peers as a Northern California “Super Lawyer,” an honor accorded to less than 5 percent of all licensed attorneys in California. He is Chairman of the Executive Committee of the Business Section of the Alameda County Bar Association and was appointed to serve on the Privacy Law Subcommittee of the Antitrust, UCL and Privacy Section of the State Bar of California. He previously served as an appointed member of the Committee on Federal Courts of the State Bar of California and as the past chair of the American Bar Association Litigation Section Subcommittee on Officers and Directors Liability. Mr. Levine graduated from Columbia University with a Bachelor of Arts degree in English. He obtained his Juris Doctor degree from Fordham University School of Law. Mr. Levine is admitted to practice in the States of California, New York and Connecticut. He is also admitted to practice before the U.S. Supreme Court, the U.S. Courts of Appeals for the Second, Fourth, Ninth and Eleventh Circuits, and the U.S. District Courts for the Southern and Eastern Districts of New York, the Northern, Central, Southern and Eastern Districts of California, the Northern District of Texas and the District of Colorado. Mr. Levine frequently writes and speaks on a host of legal issues. He is the co-author of “California Online Privacy Laws: The Battle for Personal Data,” Competition – The Journal of the Antitrust, UCL and Privacy Section of the State Bar of California (2016). He served as a member of the National Association of Public Pension Attorneys’ Morrison Working Group and was one of the drafters of Living in a Post-Morrison World: How to Protect Your Assets Against Securities Fraud, NAPPA (2012). He is also the author of “E-Mail and Voice Mail Discovery Issues,” Glasser LegalWorks (1998), “Discovery Techniques in Commercial Litigation and Recent Developments In the Rules of Discovery,” American Trial Lawyers Association (1991), and the co-author of “The Business Judgment Rule and Derivative Actions,” Practicing Law Institute (1989). Mr. Levine has lectured on arbitration agreements, securities litigation under the Private Securities Litigation Reform Act of 1995, consumer fraud and predatory lending litigation, and computer discovery and electronic data retention risk control. He has presented programs on data privacy in the US and EU (September 2018) at the California Lawyers Association annual meeting, on trial strategy (October 2016) and arbitration agreements (November 2015) at the Alameda County Bar Association, and was the featured speaker addressing Successful Direct Examination of Expert Witnesses at the Bridgeport 2011 Conference on Working With and Deposing Experts (March 2011), and Evaluating the Impact of the LIBOR Scandal at the West LegalEdCenter (August 2012). Mr. Levine lives with his family in Piedmont, California, where he is an active member of the community. He currently serves as the Chair of the Piedmont Planning Commission and as an appointed member of the Piedmont Unified School District’s Facilities Steering Committee and the H1 Facilities Bond Citizens’ Oversight Committee. Over the past decade, he also has served on the Piedmont City Council, Park Commission, Civil Service Commission and the Piedmont Environmental Task Force. Mr. Levine is admitted to practice before all state courts in California, New York and Connecticut.